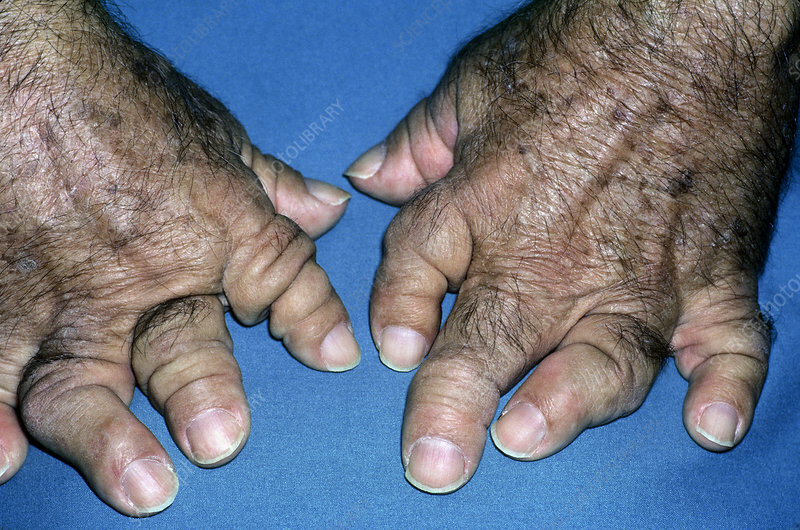 Psoriatic arthritis of the hands, showing deformed fingers. Psoriatic arthritis occurs in a small minority of patients with psoriasis, a chronic skin disease in which itchy, scaly red patches develop on the skin. It is a painful condition that causes inflamed stiff joints.